Tharshan Wijey, Chief Financial Officer (CFO) will spearheadthe development of Foundation Holdings’ long-term financialplanning and investment portfolio. Education is something Tharshan has always felt verypassionate about. He currently chairs the University of Sydney’salumni event in the UAE. Tharshan enjoys hiking and evenclimbed to Advanced Base Campon Mount Everest in 2007. © 2017 Foundation Holdings. All Rights Reserved. 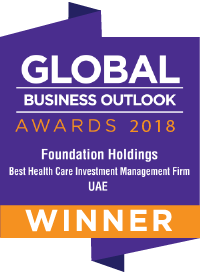 Shainoor Khoja spearheads Foundation Holdings’ Value healthcare platform, which is focused on building a transformational social impactful platform. She plays a critical role in developing the firm’s strategy to provide innovative healthcare services to the working class populations. She is integrally involved in the creation and positioning of the value healthcare platform, which ultimately aims to improve the quality of life for all. A global change maker and serial entrepreneur, Mrs. Khoja is the Founder & CEO of Better Business Enterprise Ltd (BBE), a consulting company that drives impact through designing innovative sustainable solutions to address the needs of base of the pyramid populations. Prior to BBE, she worked as the Managing Director at Roshan Community, Afghanistan’s #1 mobile operator. Mrs. Khoja was an integral part of fundraising over USD 180 million for the company, as well as establishing Roshan’s award-winning CSR program. World Bank affiliate, Arab Excellence and the UAE Stanford Alumni Association. Mrs. Khoja spent over 10 years as an owner and operator of physiotherapy clinics in London, Islamabad, Warsaw, Vancouver, and Kabul. She has combined her passion towards healthcare, technology, and education to develop innovative products and services, such as the award-winning Telemedicine program in Afghanistan. She continues to spread her knowledge by participating as a speaker with various organizations, including TEDx. Mr. Khawaja has over 25 years’ experience in leading growth and change initiatives across a broad range of businesses in the oil & gas, engineering, construction, materials, telecoms, and financial services sectors across several regions involving acquisitions, start-ups, turnarounds and joint-ventures. 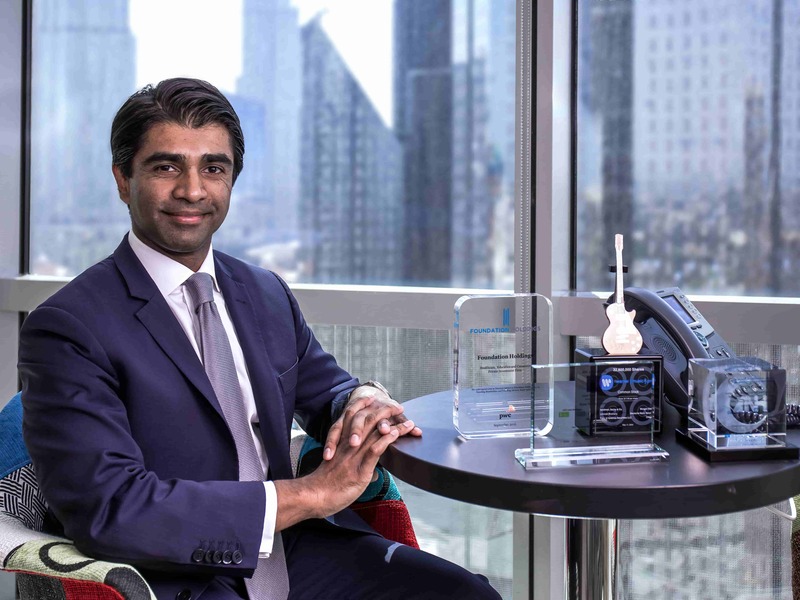 Prior to joining Abdulla Fouad, he served as Vice President and Head of Corporate Development at the Olayan Group; Managing Director at Nimbus Resources in London; Executive Director at the McNulty Group; Director at Overture Financial Services; Group Vice President of Operations and Business Development at Alturki Group; and Chief Operating Officer of ORBCOMM Middle East & Central Asia. Mr. Cheek has over three decades of experience in general management, sales, operations, strategy development and implementation across global markets. His scope of experience includes start-up, build and grow, continuous improvement (The Toyota Way) and M&A. Mr. Cheek has amassed an impressive senior network, having operated at most senior levels. Currently managing partner at Hon Seng Cheek, Mr. Cheek is a former Chairman and Managing Director of After Market Operations at the Abdul Latif Jameel Group, Director of the Toyota Parts Division in Saudi Arabia, Managing Director of the UPE Systems Service Company in Malaysia, General Manager Parts & Service Divisions, Toyota in Malaysia. Mr. Cheek has a Bachelor’s Degree in Computer Science from Teeside University. Ms. Sweid has 14 years’ experience in the private equity sector with particular expertise in strategy, growth, execution and exits. She led the growth and initial public offering of Depa – the world’s largest interior contractor – on the London Stock Exchange and NASDAQ Dubai, and founded, grew and exited Zen Yoga via a private equity sale. Ms. Sweid is an angel investor and is also the founder and chairperson of Ellevate, a community of professional women who care about investing in themselves and other women. She sits on the board of Endeavor United Arab Emirates, a global not-for-profit organisation supporting high-impact entrepreneurs in developing countries. Ms. Sweid holds an MBA from the MIT Sloan School of Management. Dr. Hingorani has over 29 years’ experience in financial services, teaching and research, and had been with IL&FS Investment Managers Limited for 21 years. With a focus on private equity, project finance and financial structuring – and a specialisation in infrastructure, manufacturing and real estate projects – she is one of the founding members of the IL&FS private equity business and has overseen investments with an aggregate capitalisation value in excess of USD15 billion. Dr.Hingorani is co-chair on the Investment Commission Board of the United Nations Environment Programme Finance Initiative, a member of CII National Committee on Infrastructure Finance, and is also on the Advisory Council of Emerging Markets Private Equity Association (EMPEA). Dr. Hingorani has a Bachelor of Arts (Economics) with post-graduate qualifications in Management (MBA), as well as a Ph.D. in Corporate Finance from the University of Pittsburgh, USA. Mr. Dagher, the head of the Lebanon Branch at Julius Baer Group Ltd since 2014, serves Julius Baer’s office in Dubai as a Managing Director and Senior Advisor. Responsible for further developing and extending Julius Baer’s franchise in Lebanon and the Levant region, he played a major role in enhancing the operations of Merrill Lynch in Lebanon and the GCC area. Ms. Khan is a Board Member at Alf Khair, a social enterprise start-up that aims to create a Saudi Arabia where women and men form the greatest natural resource. Until 2013, Ms. Khan was the Senior Advisor to the Governor of the Saudi Arabian General Investment Authority and managed corporate communications, including the establishment of the Global Competitiveness Forum, finally holding the Chief Strategy Officer post. She also served as the Secretary and Economic Advisor to the International Advisory Board of the National Competitiveness Center of Saudi Arabia, and as the Senior Advisor to the Chairman of the Board of the Economic Cities Authority (ECA). Named a founding member of the EY Global Women in Business Advisory Council, Ms. Khan holds an international advisory and board portfolio that includes Aqua Sciences Inc. and the EastWest Institute. She has built a global start-up portfolio including a textile design and production atelier in India, Chillistop (Scotland) and 9over10 (Saudi Arabia), an entrepreneurial venture that forms strategies for family offices, including an educational platform for de-risking high-risk investments in angel-to-early stage investments in emerging markets. In Saudi Arabia, Ms. Khan sits on the advisory board of Alfaisal College of Business, and is the Vice-Chair of the American Business Group of Riyadh. Ms. Khan earned a B.A. from the American University Washington D.C.; a J.D. from the Chicago-Kent College of Law at the Illinois Institute of Technology; and a Parker School Certificate from Columbia Law School. She is admitted to the New York Bar. Dr. Salehi has been Director of the Dubai Center for Special Needs for over 25 years and was the recipient of the Princess Haya Award for Outstanding Director General 2009-2010, as well as the Princess Haya Award for the Best Special Needs Center 2010-2011. Dr. Salehi is a member of the American Psychological Association and a member of the Autism Society of America. He was a research associate at the Utah State University for six years. Ms. Al Gurg is responsible for strategy and operational development of the group’s international retail brands. As Chairwoman of Young Arab Leaders UAE, Ms. Al Gurg guides essential components of the initiatives success across education, entrepreneurship and youth development. She has also been appointed as a member of the board at the Emirates Foundation, an independent philanthropic organisation set up by the government of Abu Dhabi to facilitate public-private funded initiatives to improve the welfare of people across UAE. Ms. Al Gurg serves on the board of several non-profit organisations including the Easa Saleh Al Gurg Charity Foundation. Ms. Al Gurg was presented with the Emirates Women’s Award for outstanding achievers in June 2010 due to her involvement in CSR, leadership, women and youth development. She has an abiding passion for the arts and was a Director at the Dubai Community Theatre and Arts Centre (DUCTAC) in 2004, and she continues to support the project. Mr. Tabberer has over 20 years of experience in the field of education, specifically senior educational leadership, corporate governance, training, IT, parent and student engagement, human development (including teacher recruitment and teacher training), building data and performance management systems, marketing, educational research, new technologies and school design. Currently the Owner and Chairman of BBD Education – his own company – Mr. Tabberer is the former Chief Education Officer and Chief Operating Officer of GEMS MENASA and former Director General, Schools, UK government. He worked as Chief Executive at the Training and Development Agency for Schools, and the Teacher Training Agency, and was Senior Education Advisor at the Department for Education and Skills, and Deputy Director of the National Foundation for Educational Research. Mr. Tabberer has a M.A. (Cantab) in Economics, Social and Political Science from the University of Cambridge, and also attended Plymouth College. Mr. Gonzalez joined Moorfields in November 2012, coming from Al Noor Hospital Group in Abu Dhabi, where he was Group Chief Operating Officer. Mr. Gonzalez has held several senior positions in general management in the healthcare sector, working as Hospital Chief Executive Officer in the Canary Islands (Spain) before relocating to Abu Dhabi in 2008. He was appointed Hospital Director of Khalifa Hospital (Al Noor Hospitals) before becoming Group Chief Operating Officer in 2011. Mr. Gonzalez holds a number of professional memberships, including Member of the American College of Healthcare Executive (ACHE), Chicago, USA (2006); and Member of the Society for Healthcare Strategy & Market Development (SHSMD), a membership group of the American Hospital Association (2010). The Principal Professor at the Business School San Pablo CEU, Madrid, Spain, from 2000–2003, Mr. Gonzalez has a Master’s in Business Administration from the University of Phoenix, Arizona, USA (2009) and a Business Management degree from the IE (Instituto de Empresa) Business School. With almost four decades of experience, Mr. Spitzer has deep-sector operational knowledge, in both international and domestic markets, as well as experience in licensing, patents, trademarks and overall corporate development knowledge. Under his guidance, Spring Air International generates over half-a-billion US dollars in corporate revenue. Today the company has several licenses and licensees in 40 countries. Elected to the company’s Board of Directors in 1981, he was selected as Chairman of the Board of Directors in 2007 whereupon he escalated the company’s sales from USD168m to just under USD400m. At the request of the Board of Directors, in 2007 he facilitated the consolidation and sale of the company and all interested licensees to a private equity fund, which was when he joined as Chief Executive Officer. Mr. Spitzer has won several awards, including the Bedding Industry Icon Award; Chairman of the Year Award; the Spring Air City of Hope Humanitarian of the Year award; the Presenters Partners in Progress Award; and the YMCA Valued Partners Award. Mr. Spitzer has a BSBA in Global Marketing, Economics and Finance from Roosevelt University. Mr. Maitra joined KIPCO in 1988, he was appointed Financial Controller in 1991 and Group CFO in 1996. A member of KIPCO’s strategy and risk management team, he leads the group’s planning and performance analysis function. Prior to joining KIPCO, Mr. Maitra worked for Arthur Young International. He won the MENA Private Sector CFO of the Year award in 2008 and the first MENA region CFO of the Year award, organized by the Institute of Chartered Accountants of England and Wales, in 2011. Mr. Maitra sits on the boards at Burgan Bank, OSN and Pulsar Knowledge Centre. Mr. Maitra is a graduate of Osmania University, India. One of the youngest social entrepreneurs in the K-12 education sector, Mr. Pinto has expanded the Ryan International Group of Institutions (RIGI) in India and internationally to over 125 institutions educating more than 250,000 students. Offering a fresh vision to transform traditional schools into dynamic, interactive learning environments, Mr. Pinto hopes to benefit not only students, but teachers, direct stakeholders, communities, cities and even countries. A strong advocate for the use of technology when it comes to educating youth all over the world, Mr. Pinto was instrumental in the inception of the Ryan Group International’s curriculum schools, the Ryan Global Schools, and in establishing the groups’ successful overseas schools in the UAE. Mr. Pinto was recognised as one of Asia’s emerging business leaders by WCRC and Ernst & Young in London, UK. Mr. Pinto studied at Warwick University and also has a Master’s degree in Management and Strategy as well as Business and Entrepreneurship from the Cass Business School, and an Undergrad in Management Studies from Aston University. Chairman of American College of Dubai, licensed, purpose built higher educational institution established in 1990. Dr. Sara Alom is the Director of Business Performance Improvement at Mediclinic Middle East and Al Noor Hospitals Group. Dr. Alom holds a MBA from the Fuqua School of Business, Duke University and a PhD from Kings College London in cardiovascular medicine. Dr. Sami Alom is the Director of Kasamar Holdings, a UAE based family office. He was formerly Chief Strategy Office of Al Noor Hospitals Plc. Dr. Alom holds a PhD from John Hopkins University School of Medicine.